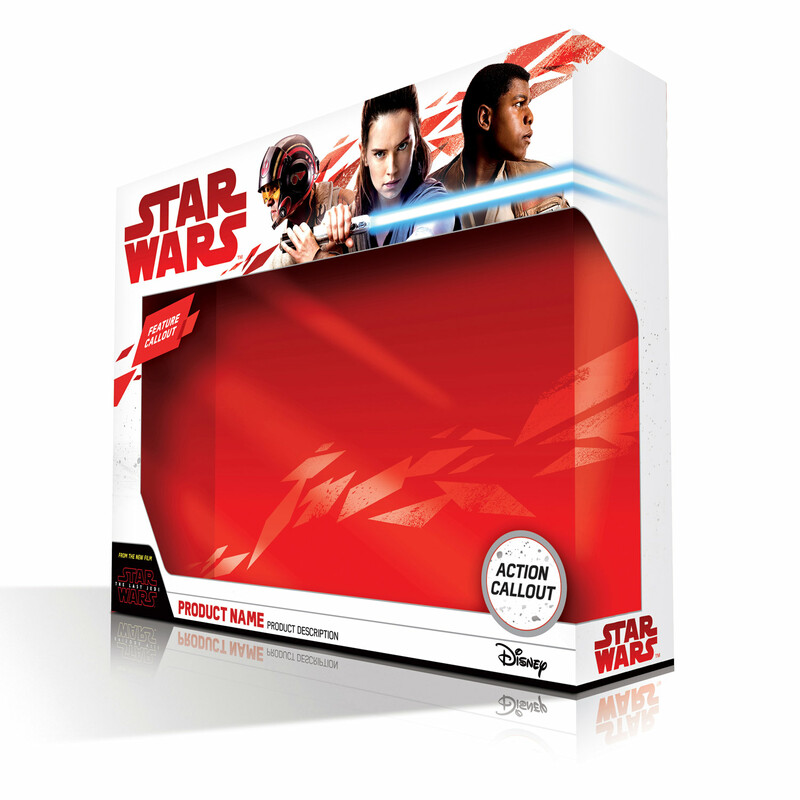 The new packaging design for toys related to Star Wars: The Last Jedi has been revealed by StarWars.com! They have also announced that Star Wars Force Friday II is September 1, 2017 at 12:01 AM. That day, you will be able to buy the very first toys, collectibles and other merchandise related to Star Wars: The Last Jedi. The packaging doesn’t reveal much and is completely spoiler free, outside of a glimpse at Rey’s new look. Attention, Star Wars fans: It’s time to make some room on your desk, toy shelf, bookshelf, and in your closet. Disney and Lucasfilm today announced Star Wars Force Friday II, a global fan event celebrating the launch of Star Wars: The Last Jedi products. Toys, collectibles, books, apparel, and more will go on sale beginning at 12:01 a.m. on Friday, September 1, 2017, with stores around the world opening for a weekend-long celebration of all things Star Wars. 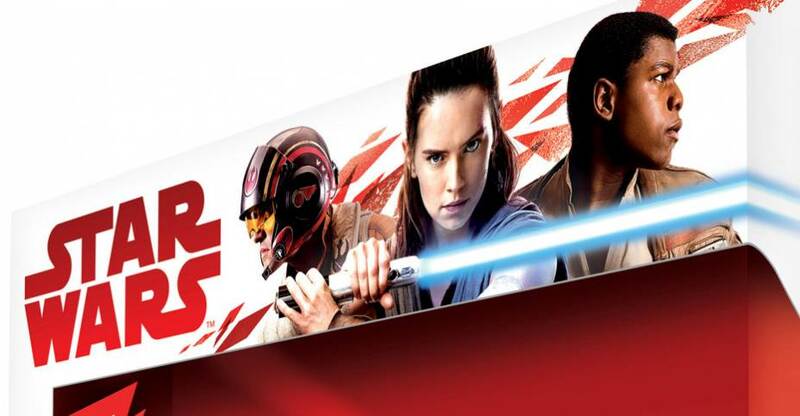 In addition, packaging for the new line, featuring striking images of a lightsaber-wielding Rey, Poe Dameron, and Finn, was also revealed today and can be seen below. Click the banner image above to check out the new packaging style! I like the image because we get to see how the characters will look, which is nice. Rey's hair looks a lot better, more action figure friendly lol. Also confirms she keeps the lightsaber? Isn't anyone else tired of these "Force Fridays"?? The first one was ok but it is becoming increasingly lame each year, like we're supposed to celebrate because you finally put new stuff on the shelves to go along with our black series 01 Finn figures. Give me a break. I’m not tired of Force Fridays, it’s nice to have at least one day a year where you can guarantee new figures becoming available. It’s hard to claim they are becoming increasingly lame each year when it has only happened twice. The "fold over" packaging for Force Awakens and Rogue One is pretty annoying and not very collector friendly. You basically have to rip it apart to get the figure out. Plus, bring back the pictoral checklists on the back and get rid of the 5 languages in microscopic print. I'm with you re: checklists and languages and reusable packages, but I don't think there's a choice re: languages. In Canada, legislation requires French on everything. Force Friday is mildly interesting to me as a promotional event, but I disdain crowd psychology ("We're supposed to do X because EVERYBODY is doing it?" baaaa) and prefer to order and receive things that I want mint-in-box shortly after they're released, rather than waiting for them to arrive locally at long last only to find them picked-over, fondled and damaged, or simply gone. Rey looks better in this new packaging, with hair down and what apears to be some kind of Jedi-style blouse. Oh man... please let Rey's 3.75" headsculpt turn out good... love that new hairstyle. It's nice to see that the packaging features more than one named character. Also confirms she keeps the lightsaber?